D&G can offer rebuild services from a basic top-end to a full custom build to suit your requirements. 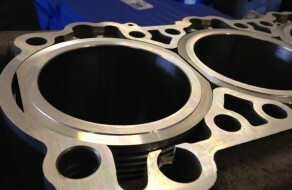 We are more than capable of building engines from the whole Porsche range, No job is too big or too small for D&G. A full selection of genuine Porsche specialist tools are on hand. D&G can offer solutions to the common problems of intermediate shaft failures, cracked cylinders and scored liners. All our rebuilds come with either a 2 year or 20000 mile warranty. For more information on any of our rebuild services then please feel free to contact us.